I had no idea I was sitting next to a message that was just for me. As I was reading this morning, an individual came up to me and said, "Hey man, that's so perfect!" Because it was about 6:00am in the morning, and I was hardly awake, I didn't even know what he was talking about. "Huh?" was my reply. He said, "Dude! The sign! The sign! It's perfect!" Still, in a fog, I didn't quite know what he was talking about. 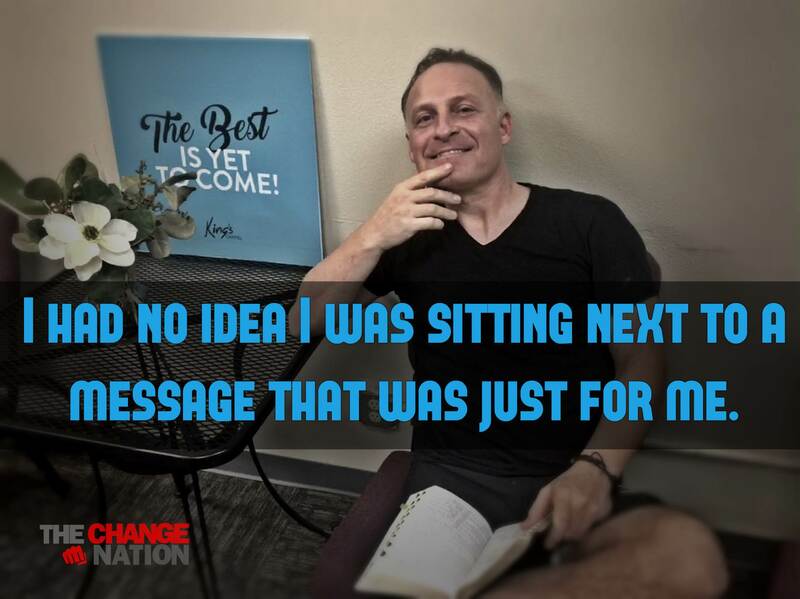 Apparently I had just sat down in this chair not knowing there was... "a sign" (quite literally) showing me something that was about to really encourage me. About 10 years ago I adopted a life motto that I actually used all the time. It inspired me every day. It reminded me that, no matter what I was going through, that there was something better coming up ahead. But going through a divorce has been one of the most difficult things I've ever gone through in my entire life. The last 3 years have actually seemed like a bad dream that would never end. The motto that used to so inspire me, I had forgotten it. Perhaps because I didn't really believe it anymore. But when this individual pointed at the sign, I had no idea I was sitting next to a message that was just for me. I looked over and it read, "The Best is Yet to Come!" All of a sudden, my life's message was… found! This morning I was reminded that when life seems like it's going down the drain, and you feel like all hope for a "better future" is just something of the past— that life really does has a way of sending you a message that puts a smile back on your face and charges you up for the next new season that you're about to embark upon. You might be discouraged today about a difficult trial you're going through. Perhaps you've had your dreams smashed like a beautiful wine glass thrown to the ground. Or maybe you're like me, and have gone through a difficult divorce, or had some other battle that seemingly knocked you out of the race. You're not alone. It doesn't mean that life is over. It could be that... it's only just begun. What "sign" is around you today that, perhaps you may be failing to see? Could it be this a little reminder (just like it was for me, that the best is yet to come) could put that spark back into your eye, and give you a fresh sense of hope for a better tomorrow? Be encourged today! The "best" isn't behind you— it's ahead of you, AND... it's within your reach! ➔ What’s one thing you could focus on today that could help you move forward in life? ➔ Are you guilty of believing the best is behind you; and if so, are you ready to break that limiting mindset? That’s a great way of putting it. There is a lot of light in our challenges.